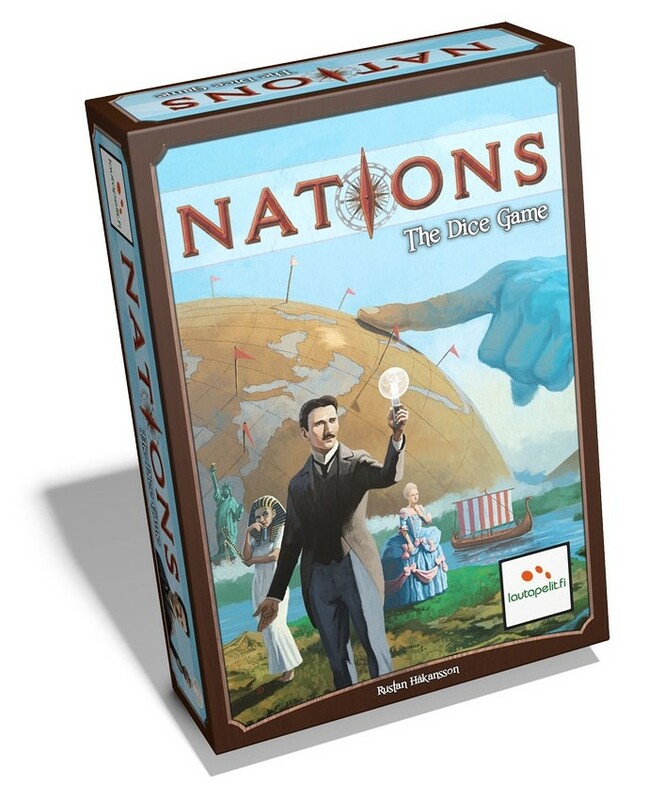 The full game of Nations is an excellent civilsation game which uses euro-style game mechanics and focuses more on building civilisations and indirect interaction plus has no landscape board. It’s an excellent, tight and unforgiving game which I have enjoyed (and hope to review soon). 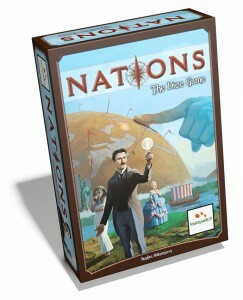 This year sees Nations: The Dice Game being released which looks very promising from reading the rules. The dice game contains simplified and streamlined version of the core elements of the main game but, as the name suggests, it uses a dice mechanic. Each player has their own board with limited spaces for tiles representing buildings, advisors, and wonders (colony tiles can be unlimited). Each of these items can be built for a cost which then gives its owner a benefit.